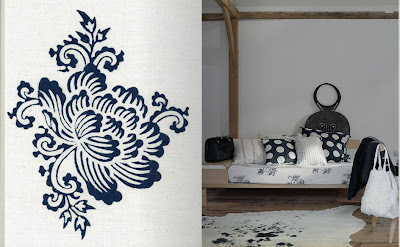 Another post on block-print? 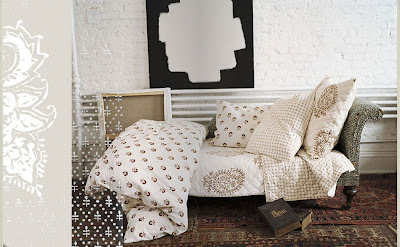 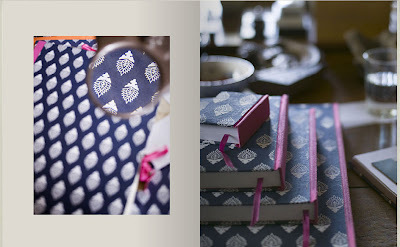 Well, I am so taken by these beautiful Indian Kalamkari inspired designs by Mary Mulcahy, the one behind Les Indiennes. 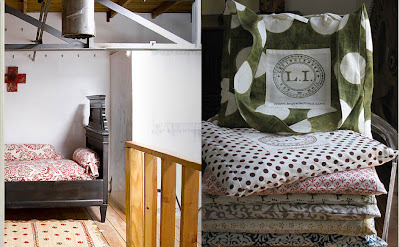 I am sure many of you are aware of the amazing line of products by Les Indiennes, but what I really liked is use of just one or two colours, using Kalamkari technique which traditionally uses multiple colours. 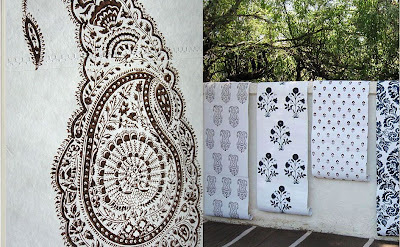 Kalamkari is an ancient Indian Art which involves dyeing of sun-bleached cotton fabrics with natural dyes and then hand-block printing with carved wooden blocks. 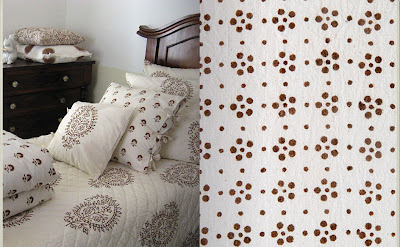 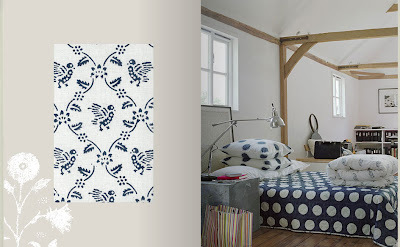 Les Indiennes has products in various materials like fabric, paper & felt. 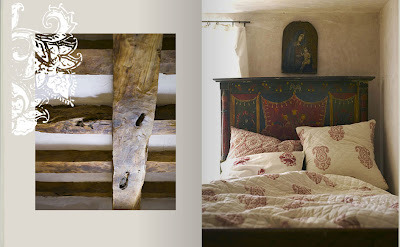 You can view & buy their products online and get inspired by these dreamy images in their Inspirational Flip Book.